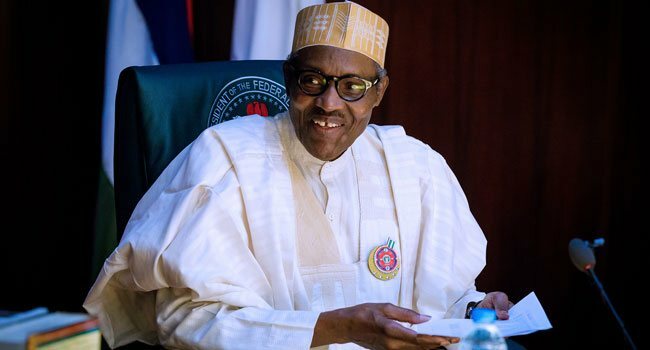 The Presidency has released a fact sheet outlining the policy and programme achievements of the President Muhammadu Buhari’s administration since it assumed office three years ago. Senior Special Assistant to the President on Media and Publicity, Mr Garba Shehu, revealed this in a statement. Concerned about the security situation in the country, he promised Nigerians that his administration would not rest until the perpetrators of the repeated killings are brought to justice. The fact sheet, on its part, highlights the successes recorded so far in the three priorities of the President’s ‘change agenda’ – security, anti-corruption war, and economy – among others. The present government has been criticised by many, including the major opposition Peoples Democratic Party (PDP) in its three priority areas. But the Presidency has insisted at least one million persons displaced by the Boko Haram insurgency have returned to their homes and communities across the North-East since 2015. It added that no fewer than 16,000 Boko Haram hostages have been freed from the terrorists’ captivity, including 106 of the Chibok girls abducted in 2014 and 105 of the Dapchi schoolgirls abducted in February. The document also showcased the improving economic indices, rising investment in agriculture and infrastructure, and ongoing efforts to improve security in the north-central region of the country. Others are the several measures taken to promote transparency and accountability in government finances, as well as the growth being experienced in Nigeria’s economy. External Reserves of US$47.5 billion are the highest in 5 years, and double the size as of October 2016. The new FX Window introduced by the CBN in April 2017 now sees an average of US$1 billion in weekly turnover, and has attracted about US$25 billion in inflows in its first year (and a total turnover of $47.14 billion) – signaling rising investor confidence in Nigeria. Nigeria’s Stock Market ended 2017 as one of the best- performing in the world, with returns in excess of 40 percent. Five (5) million new taxpayers added to the Tax Base since 2016, as part of efforts to diversify Government revenues. The contribution of Solid Minerals’ to the Federation Account rose five-fold from N700 million in 2015 to N3.5 billion in 2017. Driving industrialization, primarily through SMEs. To fast-track the implementation of the ERGP, the Federal Government launched the ERGP Focus Labs, as a targeted 6- week intervention (March to April 2018) bringing together all stakeholders to identify bureaucratic bottlenecks impacting medium-scale and large-scale investment projects in Nigeria, and then generate ideas and resources to resolve them. The just-concluded Phase 1 of the ERGP Focus Labs identified private-sector projects worth about US$22.5 billion – and with a potential for 500,000 jobs (in Agriculture, Transportation, Manufacturing and Processing, Power and Gas) – for unlocking by 2020. The creation in April 2017 of a New FX Window for Investors and Exporters has helped stabilize the market. The new Window has attracted inflows of more than US$45 billion in its first year of operation. The Buhari Administration has implemented a new Debt Management Strategy which targets a ratio of 60% to 40% between Domestic and External Debt. The other objectives of the strategy are to moderate growth in Debt Service Costs, free up space in the domestic market so that the private sector can have increased access to loans, and, to shore up External Reserves. Through the implementation of the strategy the Domestic to External Debt Ratio which stood at 84% to 16% as at June 30, 2015 improved to 73% to 27% as at December 31, 2017. Also, interest rates on FGN Bonds and NTBs have dropped from their previous levels of 16-18% to 13-14% per annum. Establishment of the Nigerian Office for Trade Negotiations by the Economic Management Team (EMT). The NOTN has produced Nigeria’s first Annual National Trade Report, and is now compiling, for the first time in Nigeria’s history, a comprehensive database of Nigerian Trade Deals and Agreements. The Renminbi-Naira Swap Agreement between the Peoples Bank of China and the Central Bank of Nigeria. In 2017, the Federal Government successfully issued US$4.5 billion Eurobonds in the International Capital Market (ICM), US$4 billion was for the part financing of the deficits in the 2017 Budget (US$1.5 billion) and 2018 (US$2.5 billion). The Eurobonds were not only highly oversubscribed, but Nigeria was able, for the first time to issue a tenor of 30 years. The significance of the US$1.5 billion Eurobond issued in November 2017 for 30 years is that Nigeria became the second country in Africa (after South Africa) to issue a tenor that long. In addition, the 30-year tenor was also ideal for financing capital projects which are long-term in nature. The balance of US$500 million was used to redeem NTBs which matured in December 2017. Also for the first time, Nigeria issued a Diaspora Bond in the ICM. The Diaspora Bond was US$300 million with a tenor of 5-years. The proceeds were used to part–finance the 2017 Budget. Under President Buhari’s administration, the Federal Government introduced 3 new products in the domestic market to promote financial inclusion, finance specific capital projects and offer local investors more products to enable them diversify their investment portfolio. These were N100 billion Sukuk to finance 25 Road Projects across the country, N10.69 billion debut Green Bond to fund infrastructure projects that tackle climate change and the FGN Savings Bond. A total of N8.126 billion from 11,366 retail investors has been raised through the Savings Bond since it was launched in March 2017. The Government of Nigeria received multiple awards from reputable international bodies from its capital raising activities. Nigeria won three awards from EMEA Finance and one award from Global Capital. These are: Best Sovereign Bond in Africa (Nigeria’s US$3 billion Dual-Tranche 10 and 30 year Eurobonds issued in November 2017); Most Innovative Bond (Nigeria’s US$300 million Diaspora Bond issued in June 2017); Best Naira Bond (Nigeria’s N100 billion 7-year Inaugural Sukuk issued in September 2017); and Global Capital Award (Best African Borrower). The Buhari Administration has released the sum of N54 billion to settle outstanding pension arrears from 2014, 2015 and 2016, as well as clear pensions claims up to March 2017.
o Budget Support Facility (Total of N606.55 billion extended to the States as of May 2018; in exchange for reforms in budgeting, IGR, debt management, overheads, etc. Freeing up of needed cash to run the machinery of Government. The Anchor Borrowers Programme (ABP) of the Central Bank of Nigeria (details below) has made available N82 billion in funding to 350,000 farmers of Rice, Wheat, Maize, Cotton, Cassava, Poultry, Soy Beans and Groundnut; who have cultivated about 400,000 hectares of land. The ABP has substantially raised local production of rice; yields have doubled from 2-3 tonnes per hectare in areas; Nigeria’s paddy production has doubled compared to 2014 levels. Between 2016 and 2018, eight new rice mills have come on- stream in Nigeria. More than a billion dollars of private sector investments in the production of Rice, Wheat, Sugar, Poultry, Animal Feed, Fertilizers, etc, since 2015. Nigeria’s milled rice production has increased by about 60 percent, from 2.5 million MT in 2015, to 4 million MT in 2017. ₦60 billion annually in budgetary provisions for Fertilizer subsidies. The Scheme has also made it possible for Farmers to purchase Fertilizer at prices up to 30 percent cheaper than previously available. The new Development Bank of Nigeria (DBN) has finally taken off, with initial funding of US$1.3 billion (N396.5 billion); to provide medium and long-term loans to MSMEs. Minister of Finance Kemi Adeosun led the Nigerian delegation that negotiated with the World Bank Group (WBG), African Development Bank (ADB) and European Investment Bank (EIB), at the 2016 Annual Meetings of the World Bank Group and IMF, for the US$1.3 billion take-off loan. The CBN approved the operating license of the Bank in March 2017, subject to the provision of a minimum capital requirement of N100 billion and other conditions, which have since been satisfied. As a wholesale bank, the DBN lends wholesale to microfinance banks, which in turn on-lend medium to long- term loans to MSMEs. Already, the DBN has a N5 billion line of credit available to be accessed by MSMEs through its partner institutions. Bank of Industry has disbursed more than N160 billion in loans since 2016. It has also established a N5 Billion Fund for Artisanal Miners, as part of the Federal Ministry of Mines and Solid Minerals Development’s Programme to boost Mining activities in Nigeria. The MSME Clinics, which bring relevant Government Agencies together with small businesses operating in various cities across the country, to enable the Agencies provide direct support to these businesses. The interactions allow the Agencies better understand the issues facing small businesses, and provide a platform for speedy resolution. Fifteen (15) editions of the MSME Clinic have been held nationwide since it was launched in 2017. The work of the Presidential Enabling Business Environment Council (inaugurated by President Buhari in August 2016) and the Enabling Business Environment Secretariat (EBES) resulted in Nigeria moving up 24 places on the World Bank’s Ease of Doing Business rankings in 2017, and earning a place on the List of 10 Most Improved Economies. The Nigerian Investment Promotion Council (NIPC) has compiled a comprehensive listing of all investment incentives in Nigeria, making it easier for existing and potential investors to have equal access to the information. NIPC has also launched an online, multilingual, investors guide with the kind of basic information about starting a business, labour laws, taxes, land, etc that investors need to better understand Nigeria. o Passage, by the Senate, of the Companies and Allied Matters (Repeal & Re-enactment) Bill 2018 in May 2018, giving legal backing to some of the reforms already launched and being implemented by PEBEC/EBES. o The new Bill permits the use of electronic signatures for company registration documents; provides for the submission of applications for reservation of names through electronic means; allows for a new form of legal entity known as Limited Liability Partnerships (LLPs), and makes it possible for a single person to form a private company in Nigeria; among other reforms. o Creation of a National Collateral Registry (NCR). A NCR or Movable Assets Registry was established by the Central Bank of Nigeria, in May 2016. In May 2017, the Senate passed a Bill to give the NCR legal backing. o A Palletization Policy issued by the Federal Ministry of Finance, which ensures that goods entering into Nigeria are properly stacked according to global best practices for efficient inspection and to discourage the usual rent seeking that comes with an outdated standard of 100% physical inspection of goods. o Automation of business name reservation, submission of registration documents, payment of registration fees, generation of Tax Identification Numbers (TIN), and filing of federal Taxes. 2016 budget, and N1.476 trillion so far in the 2017 budget, making a total of N2.7 Trillion (about US$9 billion) in two years. This investment has enabled the resumption of work on several stalled projects — road, rail and power projects — across the country. Nigeria’s External Reserves have doubled since October 2016, from US$24 billion to US$48 billion. The Nigerian Sovereign Investment Authority (NSIA) has seen inflows of US$1.15 billion under the Buhari Administration (the first government inflows since the original US$1 billion which the Fund kicked off within 2012). The Buhari Administration has demonstrated a single- minded commitment to upgrading and developing Nigeria’s Transport, Power and Health Infrastructure. Nigeria Sovereign Investment Authority (NSIA) in March 2018 invested US$10m to establish a world-class Cancer Treatment Center at the Lagos University Teaching Hospital (LUTH), and US$5m each in the Aminu Kano University Teaching Hospital and the Federal Medical Centre, Umuahia, to establish modern Diagnostic Centres. These Centers should be completed before the end of 2018. In 2014, the Federal Government spent these sums on the following sectors: Transport (N14 billion), Agriculture & Water (N34 billion), Power, Works & Housing (N106 billion). In 2017 those figures jumped to: Transport (N127 billion), Agriculture & Water (N130 billion), Power, Works & Housing (N325 billion). from that Bond are funding 25 major road projects across the six geopolitical zones of Nigeria. Upgrade of Nigeria’s 3,500km network narrow-gauge railway network has commenced, with the signing, in April 2018, of the interim phase of a concession agreement between the Government of Nigeria and an International Consortium led by General Electric (GE). The target of this Interim Phase is that within the next 12 months, passengers will experience reduced travel time by rail between Lagos to Kano, and, for the first time in over a decade, contracted and scheduled freight rail services will be available. Abuja’s Light Rail system has been completed and will go into operation in 2018. The first line to be launched will connect the city center with the Airport, with a link to the Abuja-Kaduna Railway Line. The Buhari Administration successfully completed the reconstruction of the Abuja Airport runway within the scheduled six-week period (March – April 2017). Ugboha and Uromi communities of Edo State. In 2017 Nigeria retained her Federal Aviation Administration (FAA) Category 1 status, after a routine international audit. In January 2018, a new Maintenance Repair and Overhaul facility with the capacity for aircraft C-checks and other comprehensive levels of maintenance was established in Lagos. This facility will save Nigeria an estimated $90m annually. More than 2,000MW of additional power generation capacity by the end of 2018 – some of it via publicly owned plants (Afam Fast Power, 240MW); others through private sector investment supported by the Federal Government. Launch of the Energizing Economic Programme which is bringing reliable and efficient power to economic clusters / markets around the country. Pilot projects currently being implemented in Aba (Ariaria Market), Lagos (Shomolu Printing Community, (Sura Shopping Complex), Kano (Sabon Gari Market) and Akure (Isinkan Market). Transmission Expansion and Rehabilitation Programme has resulted in a 50 percent expansion in Grid Capacity since 2015, from 5,000MW to 7,125MW as at December 2017. Distribution Expansion Programme (DEP) was approved by the Federal Executive Council in February 2018 to increase distribution capacity in collaboration with the DisCos. Implementation of the DEP has commenced, with the issuance, in May 2018, of a call for tenders for the procurement of distribution substations and electrical equipment. ‘Beyond the Grid’ Programme, a Public-Private Partnership scheme championed by the Presidency and the Niger Delta Power Holding Company (NDPHC), successfully deployed 20,000 units of ‘solar home systems’ to power rural households across 12 States, between July 2017 and April 2018. The Federal Government has disbursed N42.2 billion in UBE Matching Grants to 26 States and the FCT, N851.5 million Special Education Grant to 23 States and private providers of Special Education, and N2.2 billion Teachers Professional Development Fund to 33 States and the FCT. All 4 components of the Social Investment Programme (SIP) have now taken off. States of the country and the FCT, under GEEP. (56 percent of the loans have gone to women). In terms of advancing the financial inclusion goals of the Buhari Administration, GEEP has led to the opening of 349,000 new bank accounts/wallets for beneficiaries and intending beneficiaries. In November 2017, GEEP was chosen as the pilot programme for the Bill & Melinda Gates Foundation Policy Innovation Unit in Nigeria. Currently a total of 8.2 million pupils in 45,394 public primary schools across 24 states: Abia, Anambra, Enugu, Ebonyi and Imo (South East); Akwa Ibom, Cross River and Delta (South South); Osun, Oyo, Ondo and Ogun (South West); Benue, Niger and Plateau (North Central); Kaduna, Katsina, Kano, and Zamfara (North West); Bauchi, Taraba, Borno, Gombe and Jigawa (North East). Over 80,000 direct jobs have since been created from the School Feeding Programme; with 87,261 cooks currently engaged in the 24 participating states. All 36 states of the Federation and the FCT will eventually benefit from the Programme. The Health aspect of the programme has seen over 3 million pupils dewormed in 6 states, the deworming programme is a bi-annual programme aimed at eradicating and reducing the burden of worms. Conditional Cash Transfer (CCT): 297,973 families benefiting from the CCT Scheme, which pays N5,000 monthly to the poorest and most vulnerable households in the country. Take-off of the Nigerian Maritime University in Okerenkoko, Delta State. The University was granted approval in January 2018 by the National Universities Commission (NUC) to commence undergraduate degree programmes effective 2017/18 session, and commenced academic activities on April 12, 2018. President Buhari had last year approved an increase in the take-off grant allocated to the Maritime University from the N2 billion earlier announced, to N5 billion. Similarly, in November 2017, an additional N1 billion was approved by the President to support essential infrastructure works and staff recruitment in the University. Setting aside of US$170m seed funding for the Ogoni Clean Up, in an Escrow Account established for that purpose. The Escrow Agreement Signing Ceremony took place in April 2018. Approval for the establishment of Modular Refineries across the nine States of the Niger Delta – the first two Refineries are already under construction, and will be completed by the end of 2018.
o N13.8 billion from tax evaders (In May 2018, the Government paid N439.2 million to about 14 whistleblowers who gave specific tips on tax evasion). o N7.8 billion, US$378million, £27,800 in recoveries from public officials targeted by whistleblowers. The Ministry of Finance has received a total of 8,373 communications on contract inflation, ghost workers, illegal recruitment and misappropriation of funds, as a result of the Whistleblower Policy. Of this number of communications, 1,231 are specifically whistleblowing tips. The Ministry has undertaken 791 investigations and completed 534 of those investigations. Ten are presently under prosecution and four convictions have been secured. The National Economic Council (NEC), under the Chairmanship of Vice President Yemi Osinbajo, approved the audit of key federal revenue generating agencies, with revealing results: a total sum of N526 billion and US$21 billion was underpaid to the Federation Account between 2010 and 2015. NEC has now approved the extension of that audit to cover the period until June 2017. Also, the Buhari Administration is addressing the issue of poor levels of remittance of operating surpluses by MDAs. From remitting only N51 million between 2010 and 2016, JAMB went on to remit N7.8 billion in 2017, and is on course to remit a similar amount in 2018. PICA was set up by President Muhammadu Buhari to strengthen controls over Government finances through a continuous internal audit process across all Ministries, Departments and Agencies (MDAs), particularly in respect of payroll. Through the activities of PICA, 54,000 fraudulent payroll entries have been identified, with payroll savings of N200 billion. On August 7, 2015, President Buhari issued a directive to all Ministries, Departments and Agencies (MDAs) to close their accounts with Deposit Money Banks (DMBs) and transfer their balances to the Central Bank of Nigeria on or before 15th September 2015. The TSA system was launched in 2012, but failed to gain traction until President Buhari’s executive order in August 2015. As of May 2018, the TSA system has been implemented in 92 percent of all MDAs. The TSA allows the managers of the Government’s finances, including but not limited to the Ministry of Finance and the Office of the Accountant-General of the Federation, to have, at any point in time, a comprehensive overview of cash flows across the entire Government. This decision to fully operationalize the Treasury Single Account (TSA) system—a public accounting system that enables the Government to manage its finances (revenues and payments) using a single/unified account, or series of linked accounts domiciled at the Central Bank of Nigeria — has resulted in the consolidation of more than 17,000 bank accounts previously spread across DMBs in the country, and in savings of an average of N4 billion monthly in banking charges. o Improves transparency and accountability in the management of all FGN receipts by providing a consolidated view of Government’s cash flow. o Blocks the leakages and abuses which hitherto characterized Public Finance Management in Nigeria. The Ministry of Finance continues to fine-tune the system to improve its efficiency, and has also commenced an audit to ensure that all funds due to the TSA are remitted into it. Considering that personnel costs are the Federal Government’s largest expenditure line, the Federal Government has given priority to the deployment of the BVN for payroll and pension audits. The use of BVN to verify payroll entries on the Integrated Personnel Payroll Information System (IPPIS) platform has so far led to the detection of 54,000 fraudulent payroll entries. The Federal Ministry of Finance launched the Asset Tracking and Management Project (ATM Project) in 2016. By the ATM Project, the Federal Government is, for the first time, able to locate, identify, assess and evaluate all its moveable and immoveable assets on a real-time basis. Also, a Central Asset Register was created and domiciled in the Ministry for recording the actual quantity, value, condition and location of all the capital assets belonging to the Federal Government. These initiatives are in line with the requirements of the International Public-Sector Reporting Standard (IPSAS), which has been implemented by the Ministry of Finance. Cash accounting makes no reference to the liabilities that the Federal Government may be required to meet in the future nor does it recognise the benefits that will be obtained from assets purchased over a period of time. The cash accounting system fails to capture information on public sector assets and liabilities which may present the illusion of positive financial results in the short term, at the expense of longer-term fiscal stability and sustainability. Accruals-based accounting, on the other hand, presents the true financial position of the Federal Governments assets and liabilities, which would help the Government plan future funding requirements for asset maintenance and replacement, and the repayment of existing and contingent liabilities and, thus, better manage their cash position and financing requirements. In July 2016, Nigeria became the 70th country to join the OGP. Following this, Nigeria constituted an OGP National Steering Committee (NSC), which went on to develop a National Action Plan (2017–2019) that aims to deepen and mainstream transparency mechanisms and citizens’ engagement in the management of public resources across all sectors. In 2018, Nigeria was elected to lead the OGP, alongside Argentina, France, and Romania. All four new members of the OGP Steering Committee will serve for three years starting on October 1, 2018. The Efficiency Unit was set up in November 2015, to reduce wastages, promote efficiency, ensure prudence and add value for money in all government expenditures. o The Federal Government has saved N34 billion on Travel & Transport for 2016 compared to 2015 figures, and a further N57 billion also on Travel & Transport in 2017 compared to 2016.
o On Office Stationeries & Computer Consumables, the Government saved N24 billion in 2016 as against the previous year, and a further N10 billion in 2017 compared to the 2016 Expenditure on the same Line Item. o The Efficiency Unit has recommended to the Accountant General of the Federation the use of Debit Cards by government officials for payments instead of cash, to plug loopholes and improve accountability in public spending. Since August 2015, NNPC began publishing its performance monthly (NNPC Monthly Oil & Gas Report) in newspapers and various new media platforms and most importantly on the NNPC website to improve transparency and probity. The controversial Offshore Processing Arrangement (OPA) has been cancelled and replaced with a ‘Direct Sales and Direct Purchase (DSDP)’ scheme with reputable offshore refineries. US$6.8 billion accumulated in Cash Call arrears (as of December 2015) by the Nigerian National Petroleum Corporation (NNPC) in its Joint Ventures (JVs) with International Oil Companies (IOCs) has been negotiated down to US$5.1 billion, translating into immediate savings of US$1.7 billion. A long-term repayment plan has been drawn up for the balance of US$5.1 billion. PACAC was established by President Buhari in August 2015 to, among other things; promote the reform agenda of the government on the anti-corruption effort, and advise the present administration in the prosecution of the war against corruption and the implementation of required reforms in Nigeria’s criminal justice system. It was the very first committee the President set up after he was sworn into office. PACAC has empowered Judges and Prosecutors to operate effectively in carrying out their responsibilities through Workshops on the new Administration of Criminal Justice Act, 2015.
o Trained both Federal and States Prosecutors on proper drafting of charges. o Organized workshops for the Management and Protection of Assets, and recommended the establishment of a Central Asset Management Committee – the Presidential Committee on Asset Recovery (PCAR), headed by Vice President Yemi Osinbajo, which superintends a dedicated Central Bank Account that receives all recovered funds, for coordination and transparency of management and oversight. o Produced manuals, protocols and Standard Operating Procedures to assist ACAs in their work. These include the Corruption Case Management Manual; the Plea Bargaining Manual; Sentencing Guidelines in High Profile Cases; the Framework for the Management of Recovered Stolen Assets, Asset Recovery Strategy Document, Corruption Case Management Manual; Framework for the Management of Recovered Stolen Assets; etc. The Buhari Government submitted an Executive Bill for the Mutual Legal Assistance in Criminal Matters between Nigeria and other foreign countries, to facilitate the identification, tracing, freezing, restraining, recovery, forfeiture and confiscation of proceeds, property and other instrumentalities of crime, in February 2016. In May 2017 the Senate passed the Bill into Law. Nigeria has signed Agreements and MOUs with various countries to boost international cooperation for the investigation, tracking, freezing and return of stolen assets. of its kind in any prison in Nigeria), as well as Hardware equipment (computers, server, LAN connectivity, webcams, etc). National rollout being worked on; deployment will be in 86 Nigeria Prisons Service (NPS) locations across 16 States. Revitalization of the Multi-National Joint Task Force (MNJTF), aimed at combating trans-border crime and the Boko Haram insurgency. Maiduguri-Gubio and Maiduguri-Monguno Roads reopened in December 2016, after being closed for three years. Capture of Boko Haram’s operational and spiritual headquarters, “Camp Zero”, in Sambisa Forest, in December 2016. Following this, the Nigerian Army conducted its Small Arms Championship from 26th to 31st March 2017, a measure aimed at enabling the Armed forces to dominate the area, and avoid regrouping by the terrorists. Chairman of the Christian Association of Nigeria (CAN) Borno State Chapter declared the 2017 Easter Celebrations as the best and safest since 2009. Arik Air resumed flights to Maiduguri in May 2017, three years after suspending operations to the city. Nigerian Military reopened Maiduguri-Bama-Banki Road in March 2018, four years after it was seized by Boko Haram. More than a million displaced persons have returned to their homes and communities across the Northeast, since 2015. More than 16,000 Boko Haram hostages have been freed from Boko Haram captivity, including 106 of the Chibok Girls abducted in April 2014, and 105 of the Dapchi Girls abducted in February 2018. Transfer, in 2016, of two AW 101 Helicopters from the Presidential Air Fleet to the Nigerian Air Force, for deployment in support of Operation Lafiya Dole in the North East. Establishment of a Naval Outpost in the Lake Chad Basin. Establishment of the 8 Task Force Division in Monguno to further strengthen military presence in the North East. Deployment of a Joint Military Intervention Force (JMIF), comprising Regular and Special Forces personnel from the Army, Air Force and Navy, and working in collaboration with the Nigeria Police Force, Department of State Security (DSS), and Nigeria Security and Civil Defense Corps (NSCDC). The JMIF is commanded by Major General Mutiu Yekini. On Monday 14th May, 2018, Chief of Army Staff, Lt Gen. Tukur Buratai, flagged-off the Army’s newly-established 2 Battalion Forward Operating Base (FOB) in Kanfanin Doka Village, Birnin-Gwari, Kaduna State. In May 2018 the JMIF kicked off ‘Operation Whirl Stroke’, to counter armed herdsmen and militia groups operating in and around Benue, Nasarawa, Taraba and Zamfara States. Establishment by Nigerian Air Force of Quick Response Wings (QRW) in Benue, Nasarawa and Taraba States, and deployment of Special Forces to these QRWs. Mobile Squadron in Takum, Taraba State. At the end of April 2018, the Nigerian Air Force took delivery of a second batch of 2 brand new Mi-35M helicopter gunships to boost internal security. Operation Whirl Stroke, operating in Benue, Nasarawa, Taraba and Zamfara states, to tackle the menace of armed herdsmen, cattle rustlers, communal militias, kidnappers and other bandits. Exercise Obangame, a multinational operation aimed at securing and protecting the Gulf of Guinea. Operation Awatse, a joint operation between the Military and the Police, in South West Nigeria, to flush out militants and pipeline vandals. Commenced July 2016, and still ongoing. Exercise Python Dance I (November 2016) and II (September 2017) in the South East, to tackle kidnappers and militant elements. Arrest in July and August 2015 of 20 Boko Haram terrorists (including bomb experts) by the DSS in Lagos, Kano, Plateau, Enugu and Gombe States. Among the arrested were those responsible for coordinating and executing suicide attacks in Potiskum, Kano, Zaria and Jos: Usman Shuaibu (aka Money), Ahmed Mohammed, Adamu Abdullahi (aka Babpa), Ibrahim Isa, and Muttaqa Yusuf (aka Mohammed Sani). Arrest in April 2016 of Usman Mohammed, aka Khalid Al- Barnawi, leader of the Ansaru terrorist group and one of the most wanted terrorists in the world, with a US$6m United States bounty on his head. He’s currently being prosecuted alongside his accomplices. Arrest in March 2017 of Amodu Omale Salifu, leader of an ISIS affiliate group active in North Central Nigeria, plotting to bomb foreign embassies. Arrest of two suspected Ansaru leaders, Ahmed Momoh and Al-amin Mohammed Jamin, in April 2017 at Igarra in Edo State. The two were confirmed associates of Abu Uwais, a prominent Ansaru kingpin terrorising residents in Kogi and Edo states. In December 2017, the following notorious kidnappers were killed in Kogi State: Ahmadu Sulaiman (aka Oga), Shumo Haruna (aka Halilu Aliyu) and Abdullahi Abdulkadir aka Maijaki. They were responsible for high-profile killings and kidnappings in/around Ajaokuta. Badoo ritualists’ gang, dismantled in Lagos State. Kingpin and herbalist, Fatai Adebayo, was arrested by the Police in January 2018. In January 2018, four suspects notorious for robbing and/or kidnapping commuters in Kogi State and its environs, were arrested by the DSS in Otokiti, Adavi LGA of Kogi State: Mohammed Kabir (aka Master and Nicko), Muhammed Musa (aka World Best), Audu Emmanuel (aka Sneider) and Jallo Yunusa. the Kogi and Edo corridors: Umar Abubakar (aka Small), Abubakar Ahmadu (aka Sarkin Yaki), Aliyu Abubakar (aka Koroko), Aliyu Mohammed (aka Chogo) and Abubakar Umaru (aka Bokolori). one of his top associates, was shot and killed by DSS in a gun battle in Adavi LGA, Kogi State. Major masterminds of the Offa Robbery, in Kwara State, arrested by the Nigeria Police Force in May 2018. Re-establishment of Nigeria’s position and influence in the regional and global arena. Fragile/broken relations with the United States, United Kingdom, South Africa, and with neighbouring countries (Chad, Niger, Cameroon) have been revived and strengthened since June 2015. The Meeting of the was the first since 2009. The signing, in August 2016, of an MoU with the UK Government on modalities for the return of Nigeria’s stolen assets in the UK. The establishment of a Global Forum for Asset Recovery (GFAR), hosted by the governments of the US and UK in December 2017, and focusing on assisting Nigeria and three other countries to reclaim their stolen assets. 2016 and developed a National Action Plan, which is already being implemented. In 2016 Nigeria signed an Agreement on the identification and repatriation of Illicit Funds with the United Arab Emirates during President Buhari’s Visit to that country. The Federal Government under President Buhari has engaged the governments of Switzerland, Jersey Island, United States, United Arab Emirates, and Liechtenstein among others, in an effort to ensure the repatriation of Nigeria’s stolen assets. So far, the Swiss government has repatriated US$322 million in Abacha Loot. The money is currently warehoused in a Special Account in the CBN, and will be deployed towards the Federal Government’s Social Investment Programme. The Buhari Administration has mobilized International Support for the War against Boko Haram, forging strong partnerships with key countries, including the United States, the United Kingdom, France and Germany, ECOWAS, the AU, the UN, and others. After years of stalemate, the United States has finally agreed to sell weapons to Nigeria, and the sale of 12 Super Tucano Aircraft by the US Government to Nigeria has just been finalized. Revamp of the Multinational Joint Task Force (MNJTF) comprising troops from Nigeria and Chad, Niger, Cameroon and Benin. Successful evacuation and repatriation of more than 10,000 Nigerian migrants from Libya, with the support and partnership of the International Organization for Migration (IOM). Following Nigeria’s successful rallying of OPEC and Non- OPEC members to discuss stabilisation of the global oil market in Doha and in Algiers, and the successful negotiation of an exemption from the OPEC production freeze agreed at the 171st OPEC Ministerial conference in Vienna in November 2016; oil prices rose to US$55/bbl for the first time in 16 months. Nigeria has since then continued to engage fruitfully with OPEC. It also yielded a Currency Swap Agreement between the Peoples Bank of China and the Central Bank of Nigeria. Renewed cooperation in Security and Anti-Corruption. The US Government is supplying 12 Super Tucano Aircraft to Nigeria, as well as repatriating recovered looted monies and assets stashed in the US. Nigerian and U.S. militaries collaborated to host, April 2018 in Abuja, the 2018 African Land Forces Summit, the largest gathering of African Army chiefs, to discuss cooperation aimed at improving security on the continent. Nigeria in 2018 commenced the implementation of Automatic Exchange of Tax Information (AETI) protocol with the United Kingdom. This Protocol will provide the Nigerian Government with data on bank accounts, property and trusts held in the UK by Nigerian nationals, and will support the Voluntary Assets and Income Declaration Scheme (VAIDS) by allowing Nigerian tax authorities to check the accuracy of declarations received regarding overseas assets and income. The Presidential Fertilizer Initiative (which involves a partnership with the Government of Morocco, for the supply of phosphate, as well as technical assistance), has resulted in the revitalization of 14 blending plants across Nigeria. US$322 million in looted Abacha funds repatriated to Nigeria in December 2017. The funds are being warehoused in a special account of the Central Bank of Nigeria, and will be disbursed as part of the Buhari Administration’s Social Investment Programme interventions. Nigeria has signed and ratified an Extradition Treaty with the United Arab Emirates that allows extradition of Nigerians who flee to the UAE after committing crimes in Nigeria.